Campaign "Biodiversity region Frankfurt / Rhine Main"
BioFrankfurt ist Projektpartner im Vorhaben Städte wagen Wildnis. Vom 19.2-16.3.2018 findet wieder die BioFrankfurt „Spring School on Conservation Project Management“ statt. Die Bewerbungsphase ist gestartet! 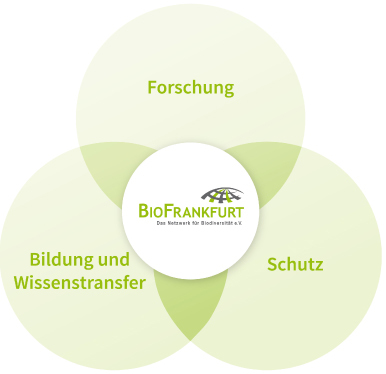 The BioFrankfurt network brings together 13 reputable institutions which are engaged in research, education, and protection of global biodiversity. Combining their knowledge, they aim to increase public awareness for biodiversity issues.